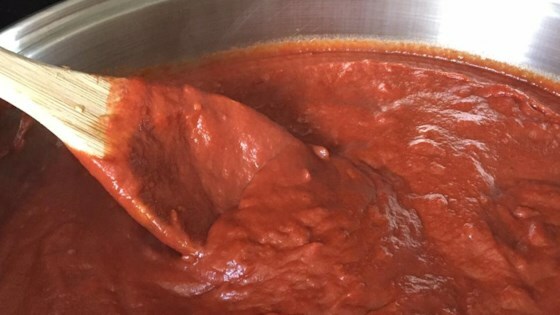 "This is a recipe for an amazingly delicious bbq sauce that has no sugar. It's great on ribs, chicken...on anything really!!! I had originally gotten it from a friend years ago, and have since 'tweaked' it up!" I am always looking for recipes to suit my husbands type II diabetes. This one is a winner. Nice rich flavor without that fake sugar taste. This is terrific. Thanks for sharing heleneshaw. Great sauce! Thick and tangy and smells good! I didn't have broth cubes, so used a packet of Lipton beefy onion soup mix. A new low-carb fave! This is a great tasting BBQ sauce if you're on a diet and want to go sugar-free. I divided it into freezer containers since I wouldn't be able to use it up in a short period of time.